Food for the next generation. That’s us. foodspring. 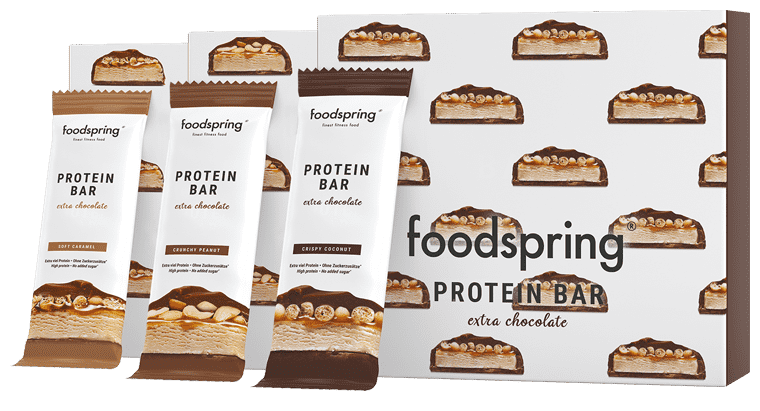 Often imitated, never duplicated: foodspring finest fitness food. Because we keep our promises. We always have been and always will be pioneers in sports nutrition. Because we believe that good food can make life better. And in its own little way it can make the world a better place. foodspring sports nutrition is our labour of love. From development right through to delivery. Natural raw materials, development in Germany, sustainable production. Just some of the things we fly the flag for. 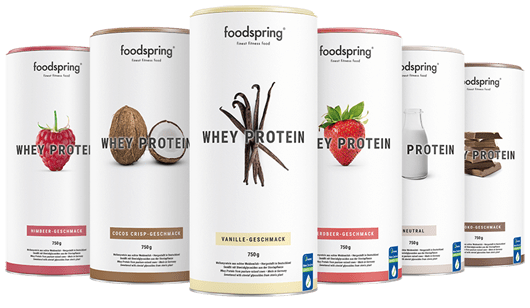 foodspring offers sports nutrition that wows. We accompany athletes on the way to all of their goals, from the very small to the very large. Thank you for your trust. Our focus: Innovative supplements that are ahead of their time. Factory farming and developing flavours in a lab is easy. We rely on whey protein from real pasture milk, sweetness from steviolglycosides, purified extracts of the stevia plant plant and cocoa from certified organic farming. We also have a soft spot for vegans: Our amino acids and dietary supplements are contained in purely plant-based capsules. Even our omega 3 is entirely fish-free. Are you interested in more ideas to maximise your training in a healthy manner? Take a look around. 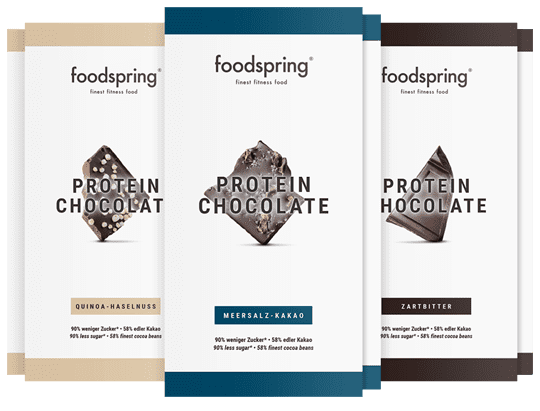 finest fitness food by foodspring is intended for all: strength athletes, endurance athletes, team athletes, professionals, family people, vegans and vegetarians. Welcome to foodspring. We have superfoods from the best growing regions in the world, handpicked in every sense of the word and of course, certified organic. Fair-trade coconut oil and protein porridge from the Lake Constance region. We know where our food comes from. And what you get from it. Finally a brand that can truly be trusted. Do you have questions about our products or your athletic goals? We are ready, willing, and able to help you. By email, telephone or live-chat. We have time for you. Just another thing that foodspring stands for.